Law practice management and technology blog posts from bar association and law society practice management advisers from around North America. Want to see what they are tweeting about? Check out: PMA Tweets! Materials and links on these pages are intended to provide only guidance and are not legal authority. Some information is from jurisdictions other than Illinois and references the law in other jurisdictions. Lawyers using these materials must conform their practices to the law of the appropriate jurisdiction. 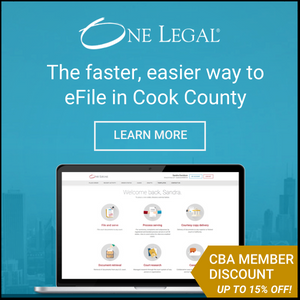 The opinions of the authors are their own and do not necessarily reflect the view or policies of the Chicago Bar Association.